“Suddenly, I realized that my husband’s paintings do not belong in some Mr. Rabinowitz’s living room or a Mrs. Rosenberg’s apartment. They are not the property of the wealthy alone, but belong to the many, who need them as something as vital as reading books.” ‒ Mrs. Sonia Ryback, Davar (13.9.1936). The Ryback House was erected in the heart of the Ramat Yosef neighborhood in 1963. The building is characterized by its Brutalist style and designed by architects David Perlstein and Shabtai Meshulam. The two were inspired by the sculptural language of pioneering Swiss-French architect Le Corbusier. The house was designated to serve both as a museum for Ryback’s works as well as a residence for his widow. Committed to the fundamental alliance between art and society, Ryback House is part of the cultural complex of the neighborhood, which comprises the Ben-Ari Museum of Contemporary Art, the Municipal Library, and the Bat Yam Auditorium. Issachar-Ber Ryback (1897-1935) was born in Elizabetgrad (now Kirovograd, Ukraine), and attended the Kiev Academy of Art. 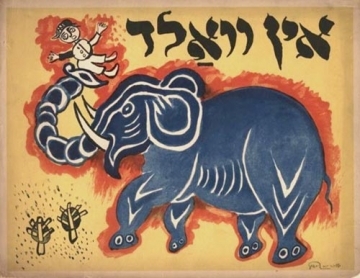 He was active in the Yiddish culture organization Kultur Lige and was part of the Yiddish avant-garde of the 1920s which attempted to integrate between local Jewish aesthetics and a universal, modern gospel of art. 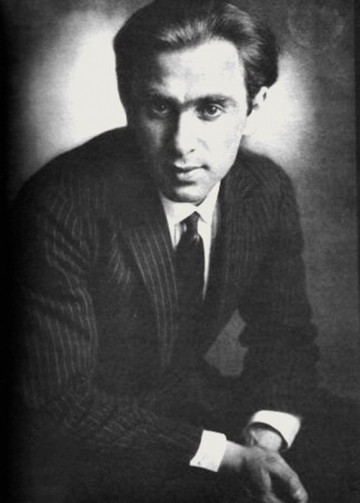 Among the artists and writers of this group were El Lissitzky, Peretz Markish, Boris Aronson and Marc Chagall. In 1926, after spending time in Moscow and Berlin, Ryback settled in Paris, where he lived until his death in 1935. Ryback’s widow Sonia was invited by the Mayor of Bat Yam, David Ben-Ari, to settle in the city. She enriched the city’s cultural assets with her late husband’s oil paintings, charcoal drawings and sculptures. Inspired by Ryback’s artworks, which reflected Eastern-European Jewish community life and characteristics, Ryback House is now the home of extensive activities conducted by MoBY’s Department of Community & Education. The Department holds year-long art workshops for children, activities inspired by exhibitions in the Ben-Ari Museum of Contemporary Art, summer classes, and more.